The best London neighborhood guide will give you a full overview of all London neighborhoods and why they might be a good fit when you’re moving to London in 2016. The biggest part of our job here at London Relocation Services is to find you the perfect home! Before you start packing your bags and getting in the mindset to find a flat in London, you’ll first have to figure out where exactly you want to reside in London. London is home to 8.5 million people all in which reside within 33 different boroughs of London. From Barnet to Croydon and everywhere in between, each borough has it’s own feel and character. Before deciding on a particular borough you must first decide what kind of amenities are most important for you when moving to London in 2016. For example, do you want to rent an apartment in London in a busier area with much going on and many things to do within walking distance or would you prefer a more quiet residential neighborhood? West London is home to some of the ritziest and most posh areas in London, including Kensington and Chelsea, Westminster and Ealing. Though the West side is more of an affluent area, you can find great properties for a great price, if you know where to look! Each location offers many amenities including shopping, dining, nightlife and more! Though each borough has it’s own feel and character, these West London locations are the places to see and be seen. Westminster is home to many iconic London sights including the House of Parliament and Buckingham Palace. Within Westminster there are many trendy neighborhoods including Maida Vale, Marylebone and Soho. An affluent area, Maida Vale properties are larger than normal, many dating back to the 19th century. Maida Vale is perhaps most famous for its BBC recording studio and the amount of celebrities who live and have lived in the area. Marylebone is a cosmopolitan neighborhood filled with many different restaurants of all cultures including Tai, African Scottish and so much more! Marylebone is also just north of Oxford street, one of the biggest tourist destinations in London! Oxford Street is always flourishing with many different people and is lined with many shops, restaurants and coffee shops. The shopping on Oxford Street includes high end brands such as Christian Louboutin and Chanel, as well as other brands including French Connection and Adidas. An interesting addition to the best London neighborhood guide – not traditionally thought of as a West London postcode, Soho is arguably the trendiest neighborhood in not only Westminster but is also said to be the trendiest neighborhood in all of London! Though Soho is small in size and only measures to about 1 square mile, the area is always buzzing! Soho is packed with many different pubs and restaurants as well as different media companies. During the weekends you can find the streets of Soho to be crowded with pub goers and food lovers! A great place to eat that has been buzzing lately is Balls & Company on Greek Street. This trendy meatball shop sells traditional meatballs but also other delicious eats such as quinoa and salmon balls! Ealing is London’s 3rd largest borough and the 4th most diverse area in the country with over 100 languages spoken. Ealing is a larger borough and covers 55 square kilometers with a population of 300,000 people. 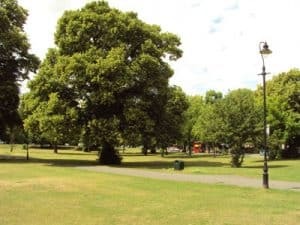 When moving into your new property in Ealing there are some big attractions you won’t want to miss, including Ealing Common, Pitzhanger Manor House, and more! Because Ealing is such a bustling neighborhood, there will always be something going on. During the summertime you can find multiple festivals going on throughout Ealing such as the Ealing Jazz Festival, the Ealing Comedy Festival and the Ealing Beer Festival! Ealing Common is the name of a huge green space located in Ealing, West London. The park was deemed such in 1866 and currently makes up 47 acres! This huge park has tons of greenery including chestnut trees, oak trees, and a rose garden. On holidays and weekends many events take place such as fairs and volunteer events. There are also numerous restaurants and pubs surrounding the park and some even overlook the greenery! The Pitzhanger Manor-House in Ealing is a famous mansion that was designed by Sir John Soane in the early 1800’s. The house was designed to be Sir John Soane’s ideal house and since his passing has had multiple well known owners, even including Prime Minister Spencer Perceval. Today the restored mansion hosts numerous events a year including art galleries, children’s workshops, weddings, and tours. The house also boasts the largest collection of Martinware pottery in all of England! The Royal Borough of Kensington and Chelsea is by far the most known borough in all of London. The Royal Borough is remembered for its high end shopping destinations, luxury flats, green spaces and history. Properties in this borough are highly sought after and for good reason! Chelsea first started out as a fishing village but is now known to be one of the most affluent neighborhoods in London! Over the years Chelsea has been called home for many celebrities including playwright Oscar Wilde, Freddie Mercury and Stella McCartney. When living in Chelsea, you can be sure that you will never be bored! Numerous restaurants and nightclubs can be found all around Chelsea such as Gordon Ramsay’s restaurant Maze Grill and Maggie’s 80’s themed nightclub, complete with funky decor! Kensington is a town situated within the Royal Borough of Kensington and Chelsea. The east side of Kensington is where the famous Kensington Gardens are located. The gardens were once private property but now are open to the public and are perfect to take a stroll through any day of the week. Kensington High Street is also a popular destination and is perhaps the most well known street in London! Along the Kensington High Street you can find many shops and restaurants such as Babylon at the Roof Gardens. Many other attractions can also be found in Kensington such as the Royal Albert Hall and The Natural History Museum. If that’s not enough to fill your day, also located on Kensington High Street is our wonderful London Relocation office. Make an appointment to see us and let us find your dream flat!